Hungry? 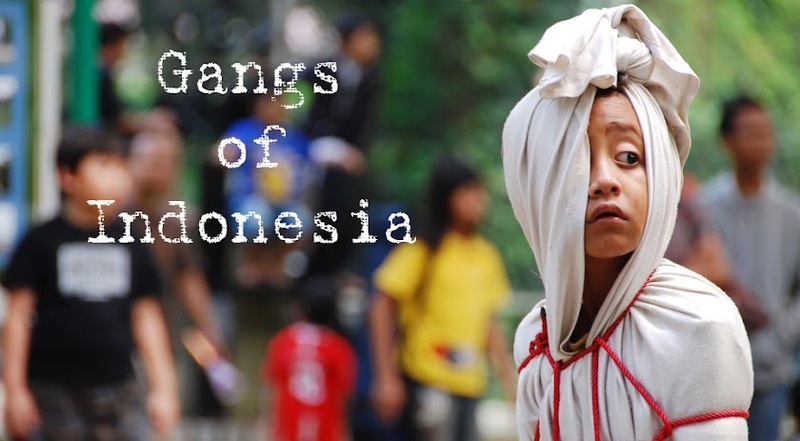 Get ready for Indonesia! CNN Go are serving up 40 of Indonesia's favourite dishes on their website this week, photographed by Gangs of Indonesia writer Melanie. Check out the story and photos here. 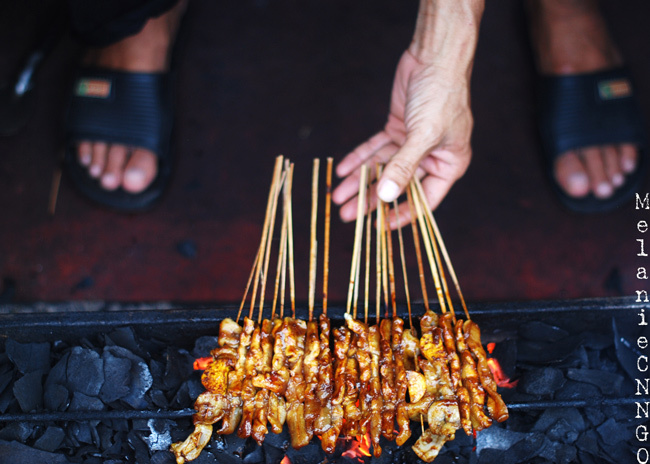 The satay above was cooked on Jl Veteran, central Jakarta. The sambel below is from Le Seminyak in Pacific Place. 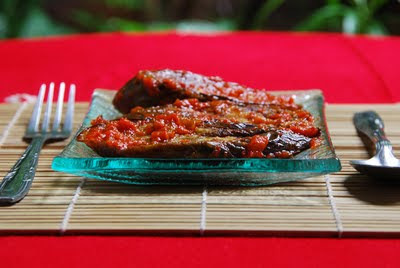 And the balado terong at the top was homemade and shot in the garden. 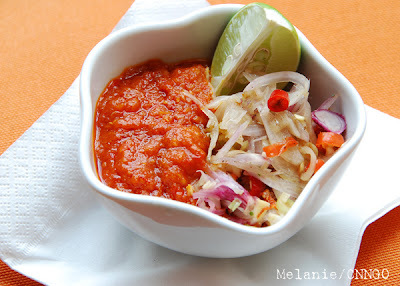 Mmmm, I like rendang and sambel!